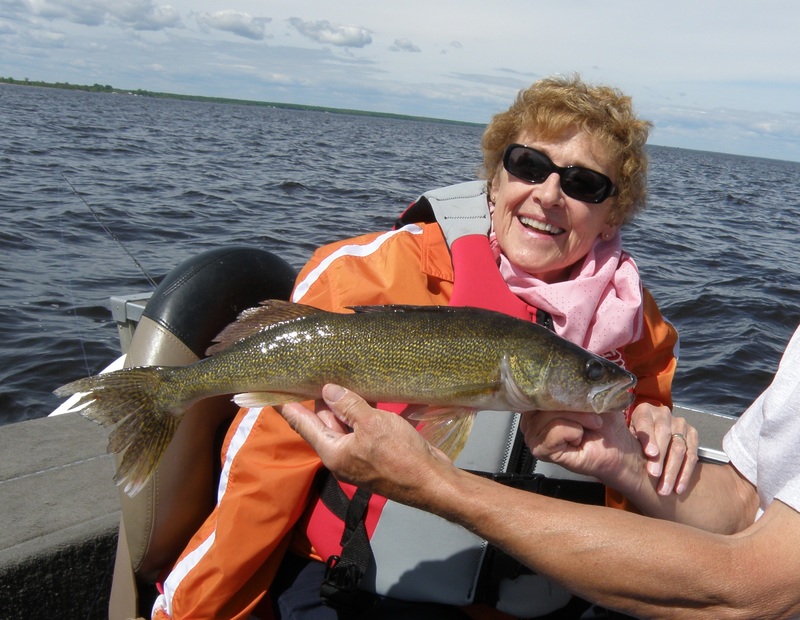 Uncle Noie and Janice were here for a visit and three days of fishing. The weather was great and the fishing was good. We fished about three hours each day in the Morris Point area and mostly anchored up in thirteen to fifteen feet of water. We used frozen shiners on various jigs for bait. 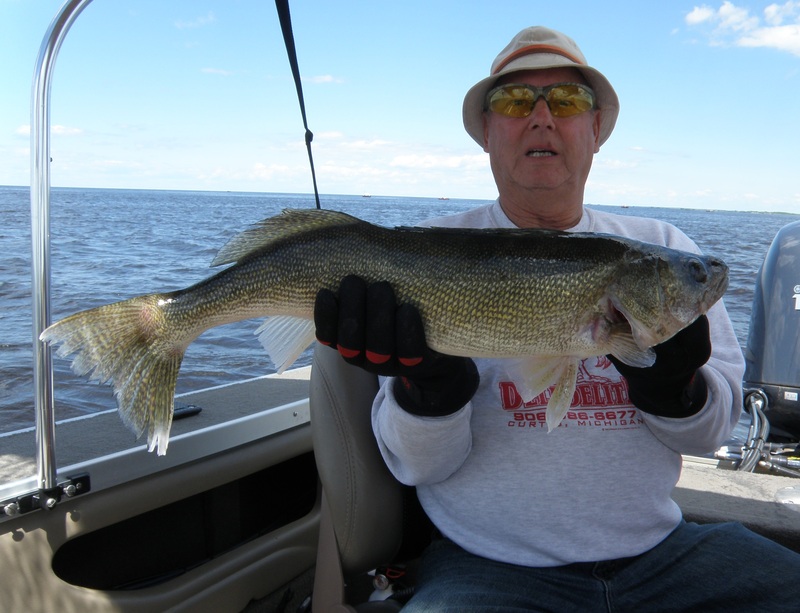 On Monday, we kept 10 walleyes; five saugers and released many small fish; no slot fish. Tuesday, we kept only five fish, but released numerous little ones. 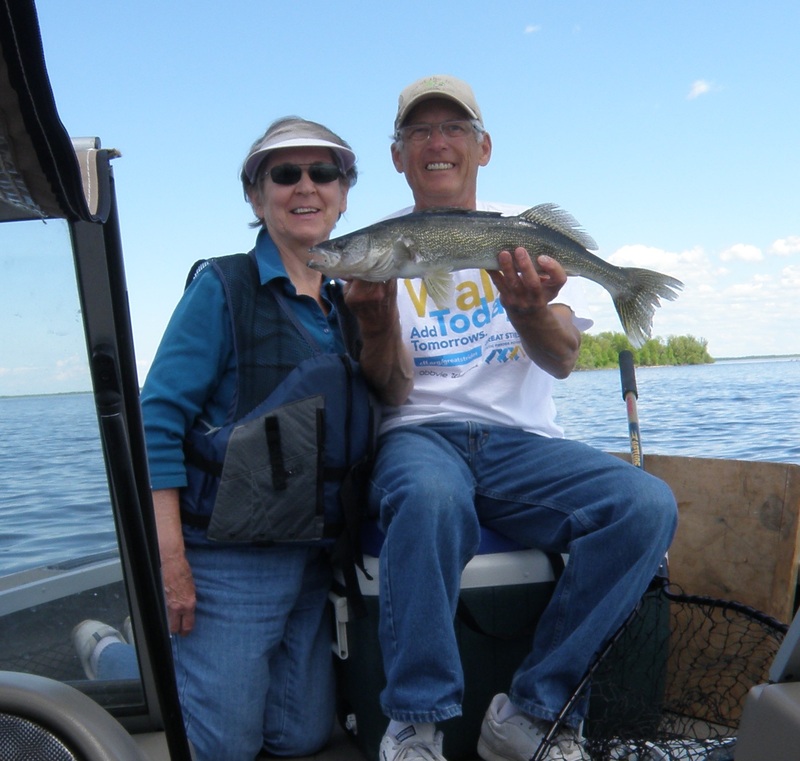 We also relased a 25 inch pike that Janice caught and 24″ and 28″ walleyes. Wednesday were kept nine walleyes and one sauger. We released a few small fish and seven walleyes from nineteen to twenty-three inches. We had fish fries and sent a limit of fish home with them. It was a good time.